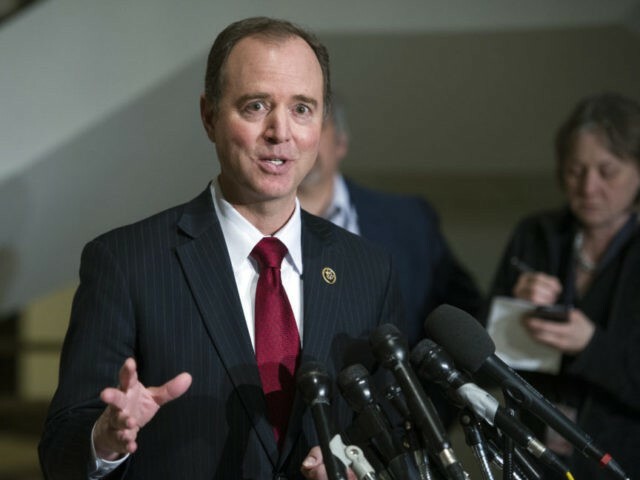 Rep. Adam Schiff (D-CA) made a last-minute effort Wednesday evening to block the release of a highly-anticipated House Intelligence Committee memorandum that is expected to allege that the Obama administration abused the federal government’s surveillance powers to spy on Donald Trump’s political campaign. The committee voted along party lines on Monday to release the memorandum to the public, subject to final approval by the president. He tweeted images of a letter addressed to Rep. Nunes in which he said there was “no longer a valid basis for the White House to review” the document, and demanded it be withdrawn. Shifts accusations follow a pattern established last year, when he demanded that Nunes recuse himself from the investigation into possible Russian interference in the 2016 presidential election after the chairman exposed the Obama administration’s practice of “unmasking” the names of U.S. citizens who had been under surveillance. Nunes was accused of coordinating with the White House. He was later cleared by the House Ethics Committte. The committee’s GOP majority responded to Schiff’s claims via Byron York of the Washington Examiner, calling his claims a “strange attempt to thwart publication of the memo.” While admitting that some changes had been made, York’s “Intel source” said that they were “minor edits,” including one made at the behest of Democrats. News reports suggested that the White House could release the memorandum as early as Thursday. The Democrats’ own memorandum will be reviewed by House members and could be released to the public the following week.